Hardly anyone remembers or knows that one of the founders of Valve, Gabe Newell, started his way in the world of computer technologies in Microsoft. Newell was directly involved in the creation of the first versions of Windows. Having worked in Microsoft for 13 years, Gabe decided to leave the corporation together with his friend Mike Harrington to create a company with its ideology and structure. Working in Microsoft, Gabe Newell realized that the system of interaction between workers of the above-mentioned company didn’t fit him, so the “anarchic” system of interaction between workers of Valve is a truly unique phenomenon in our time. Michael Abrash was the main inspirer of this idea who left Microsoft in 1996 and worked on Quake, which was very popular at that moment. 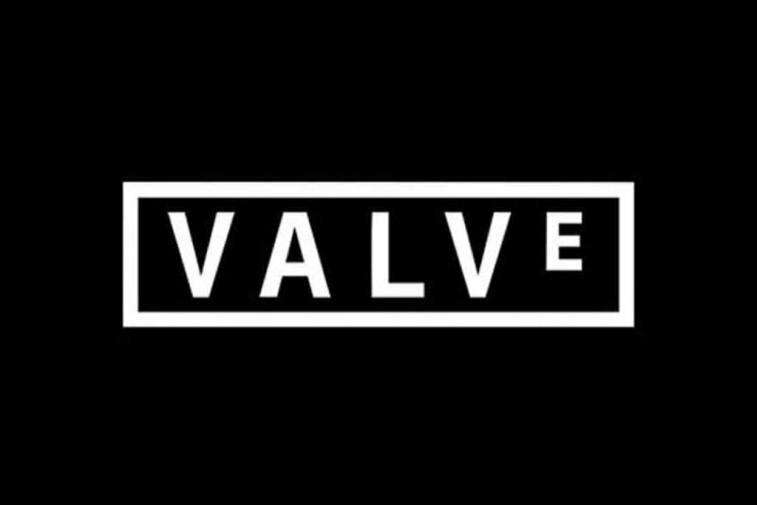 Sometime later, Gabe Newell and Mike Harrington did the same thing and created the company Valve, after which began developing their first game. Their pilot project had the working title «Quiver» and Marc Laidlaw, a professional writer-fantasist, was invited to work on the scenario of Quiver. Trying to create something like DOOM, Valve created Quiver, which was renamed to Half-Life. The game, which was in development for a year and a half, received more than fifty rewards from various publishers and the most elite reward can be considered the received status of «The best game of all times». After becoming popular with a help of Half-Life, Valve didn’t rest on its laurels and focused on the development of SDK, which was released in 1999. The next boom happened around Valve due to SDK, which was available for everyone. Ming Le together with Jess Cliffe used SDK and created the most famous modification for Half-Life — Counter-Strike. The shooter by two indie-developers had become so popular that Valve decided to hire Ming Le and Jess Cliffe and to make CS the official addition to Half-Life in 2000. The extent of Counter-Strike has grown to the scale to date, about which no one had thought back in 2000. Valve was developing its own online service, Steam, almost at the same time. The developers created this idea after the tendency of playing multiplayer games like Counter-Strike and Team Fortress Classic had been noticed. Sometime later, Valve decided that Steam could be not only a service for playing online games but a digital distributor of games. An interesting fact is that Gabe Newell tried to engage such titans of IT-industry as Amazon, Yahoo, and Cisco in the creation of Steam. Companies agreed on his calls on one hand but didn’t make a move on the other hand. Due to this, one of the founders of Valve decided that he would cope with this aim independently. In March 2022, the company launched the first version of the Steam store and Valve started selling Half-Life 2 with its help two years later. Third-party developers began selling their games on Steam a year later, having transformed Valve’s creation to a universal gaming store in such a way. The studio created by Gabe Newell and Mike Harrington continued releasing games during a couple of years. Valve made two episodes of Half-Life and also the action-puzzle Portal, in which the unique mechanics of portals was realized, and the sequel of Team Fortress, which had the second number, better graphics, and upgraded gameplay. The historic event happened in the world of the esports in 2011. This year, Valve decided to move the most popular modification for Warcraft III to a stand-alone in-game client, having moved the esports discipline to the next level. Valve took the bold steps together with this. The Dota 2 developers announced that they would host The International, the championship with the prize pool in the sum of $1,600,000 and the main money prize in the sum of $1,000,000. Not many people had believed in the truth of the information until the very end. Since then, Valve has tended to host The International in summer every year. In 2012, the Dota 2 developers hosted the world championship in its MOBA discipline again and its prize pool and the main money prize were similar to the previous year’s event. In 2013, Valve made a decision to go beyond gaming development and launched its own operating system, SteamOS. It was created on Debian and also was a part of the Linux family. The creators of the above-mentioned operating system claimed that the efficiency of graphics rendering had been significantly improved. With regard to The International, Valve tried to add Compendium for the first time to collect money for the prize pool with a help of crowdfunding. Instead of usual $1,600,000, the prize pool of The International amounted $2,874,380 this time and the main money prize was $1,437,190. In 2014, Valve released its own gaming console called Steam Machine and a gamepad for it. On March 1, 2015, a virtual reality headset, SteamVR, was revealed at Mobile World Congress, which Valve developed together with HTC. 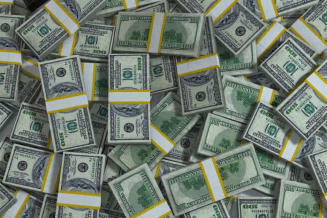 The prize pool of The International became bigger than $10,000,000 for the first time that year. Due to players’ donations in Battle Pass, which was dedicated to the yearly tournament, Valve managed to collect $10,923,977 for participants of the world championship and the main prize for the first place was equal to $5,025,029. $18.429,613, $20,770,460, $24,787,916, and $25,532,177, respectively. 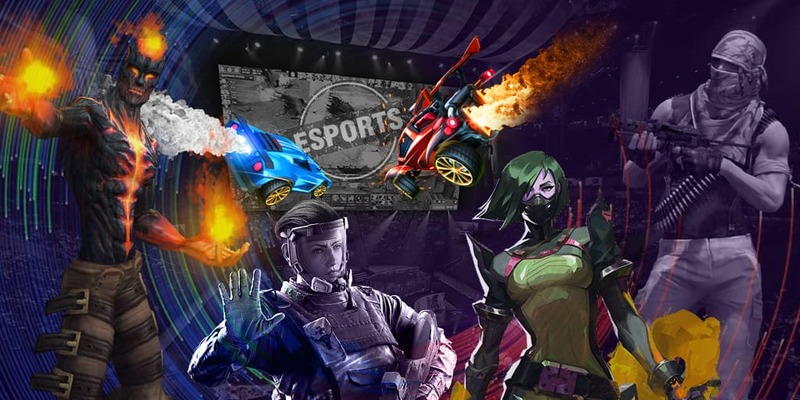 The tournament breaks records each year and remains a non-replaceable owner of the title «The esports championship with the biggest prize pool». Valve definitely can boast of the most unusual and innovative structure and hierarchy among all giants of IT industry. The reason is that there is no hierarchy at all. Gabe Newell’s modesty draws special attention. Technically, he is a CEO of the company but the following is written in the instructions for rookies of Valve: «Among all people in the company who are not your chiefs, Gabe isn’t a chief foremost». One of the first workers of the company, Greg Coomer gave an interview to The New York Times, in which he told about his doubts that Gabe Newell was a CEO of Valve. Despite this, he noticed that Gabe’s position was technically the above-mentioned one. The company Valve has been created and continues being supported on a clear enthusiasm of Gabe Newell and Mike Harrington. It has never engaged third-party investments and hardly anyone might be able to buy Valve. Google offered Newell $18,000,000,000 for selling Valve in 2014, however, the latter refused. The main reason was probably the fact that Valve would lose its unique structure and the system of interaction between workers. According to Gabe Newell, Valve will not be sold to other giants of the industry but will be disbanded in the case of failure, which reflects the founders’ love and loyalty to the company. Speaking about the system of interaction, we cannot but notice the uniqueness of that there are no chiefs and people who have a higher rank in Valve due to the absence of hierarchy. All work done by workers is based on interest to one or another project. Gabe Newell, despite his position in the company, can only give recommendations to his workers, which are non-binding in the case if workers are confident about the correctness of steps taken and Gabe’s advice doesn’t improve their productivity. The process of recruitment of new workers is long enough and it doesn’t happen very often. Valve starts hiring new people in the case when the spontaneously created team of a project makes a conclusion that it needs one more person. Of course, a new person decreases a share of each worker, so the team decides to hire new members as a last resort. With regard to the process of hiring workers, it’s strict enough and if a person had got in Valve, this means that he would have managed to pass multiple moderations or to meet company’s needs. All staff follows multiple numbers of job interviews. All Valve workers without an exception have a right to veto a job-seeker and they use this right successfully in the case when they think that the person can’t fit the company for some reason. Many corporations appreciate people with a rich experience in a special way and Valve is not an exception. They search for representatives of different branches who are the best in their field. In such a way, Valve hired the Greek economist, the former minister of finance, Yanis Varoufakis. Gabe Newell read his blog a lot and made a conclusion at one moment that the objective of Valve had a lot in common with the situation, which was happening between Germany and Greece. After that, Gabe and Yanis had met to discuss a possible partnership and the Greek economist has been a regular worker of Valve since then. The fact that such structure exists successfully works and is very profitable demonstrates the possibility of creating anarchy in a community. In such a way, Valve is not only an innovator and one of the most important players of the IT industry but strengthens the belief in the prospective future of humanity with its existence. «Many enlightened corporations boast of that they are ready to allow workers spending 10 or 20 percents of their working time on their own projects. The difference of Valve is in the fact that its workers spend 100 percents of their working time on their own projects. Interesting cases include the recruitment of a former actress of a puppet theater, a visual effects creator of the movies «The Lord of the Rings» and «King Kong». It’s also worth to notice that one of the most valuable qualities of a worker is a skill of simplifying or resolving an objective quickly. Other valuable and equally important qualities of job-seekers are a skill of working without supervision, a wide range of interests and others. All work is done without orders from “chiefs” in the company. All workers are free to move to various projects in any time and the creation of these projects happens spontaneously. When someone has an idea of starting a new business, a worker asks what others think about it and a team forms in the case of success, which starts working on a project. To simplify a working place for workers inside the company, all furniture in Valve is on wheels and can be moved without an effort. With regard to payment, bonuses or even participants’ «a share» in a project, all these questions are resolved by workers too. Speaking about vacations and other kinds of rest, it’s worth to notice that the issue is dealt… guess by who. You are right! It’s dealt with by the workers of Valve. Valve released 7 games in 1998-2000: Half-Life: Day One (demo), Half-Life, Half-Life: Uplink (demo), Half-Life: Opposing Force, Team Fortress Classic, Counter-Strike, and Ricochet. The additions to the previous successful projects were released at the beginning of the century: Half-Life: Blue Shift, Half-Life: Decay, Deathmatch Classic, and Day of Defeat. Valve made the special version of Counter-Strike for arcade machines, which was called Counter-Strike Neo. 2004 was historic for Valve. That year, the company launched its engine Source, on which such games as Half-Life 2, Half-Life 2: Deathmatch were made. Valve released Counter-Strike with a singleplayer company a bit later — Counter-Strike: Condition Zero and its special version with deleted scenes, Counter-Strike: Condition Zero Deleted Scenes. Counter-Strike: Source and Half-Life: Source were also released on the new engine. Old games, which were ported to the new engine Source, and the sequel of Half-Life 2 were released in 2005-2007. Valve made Day of Defeat: Srouce, Half-Life 2: Lost Coast, Half-Life Deathmatch: Source, Half-Life 2: Survivor, Half-Life 2: Episode One, and Orange Box, a compilation, which included Half-Life 2: Episode Two, Team Fortress 2, and Portal. Such games by Valve as Portal: Still Alive, Counter-Strike Online, Left 4 Dead, Left 4 Dead 2 and Alien Swarm were launched in 2008-2010. It’s worth to notice the fact that a few DLC were released for Left 4 Dead and Left 4 Dead 2. Valve made a release of Portal 2, and Counter-Strike: Global Offensive, Counter-Strike Online 2 and also released Dota 2 from a beta test in the next three years. A few DLCs were launched for Portal 2. On September 10, 2015, Valve finally ported Dota 2 to the new engine, Source 2. Dota 2 became Dota 2: Reborn on this date. The developers released a game in the Portal series, The Lab, later, which is a spin-off for Portal and is an experiment for HTC Vive. The Dota 2 card game, Artifact, was released on November 28, which had mixed feedback from critics and players.